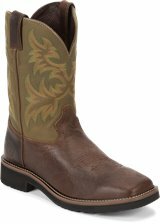 The Conductor Pullon Brown 10-inch tall men's work boot brings simple comfort and class to the job. Its golden brown exterior is crafted from quality leather that offers durability for extended wear. Its Double Comfort® System utilizes revolutionary new orthotic inserts that work directly with the Orthotic Texon®/Poron® insole for support and lasting comfort throughout the day. The durable polyurethane slip resisting outsole meets ASTM F2892-11 for electrical hazard safety footwear standards. This style is proudly Made in the USA with global parts. Best boot for the money. These boots are comfortable, tough and long lasting. Received Sweepstakes Entry for Product Review. I work in a machining factory. The sole on this boot is the best non-slip sole I have found over 20 years of working on oily floors. My favorite was the Briar Pitstop color that is now discontinued. This boot handles rough conditions and as a plus is American made. I always buy American made if I have the opportunity. I"ve had two pair of these style boots only in the women's version, which they've quit making. The last pair I'm still wearing after over 5 years of hard use and I've been trying to find some new boots to replace them before they're totally gone but I can't find anything that comes close to compareing. I've worn two pairs of these boots for 15 years. Longest lasting, most practical work boot I've ever had. Square cut heel grabs the ground securely yet this sole sheds mud quickly. Thinking of trying a different style of Justins but I love these. 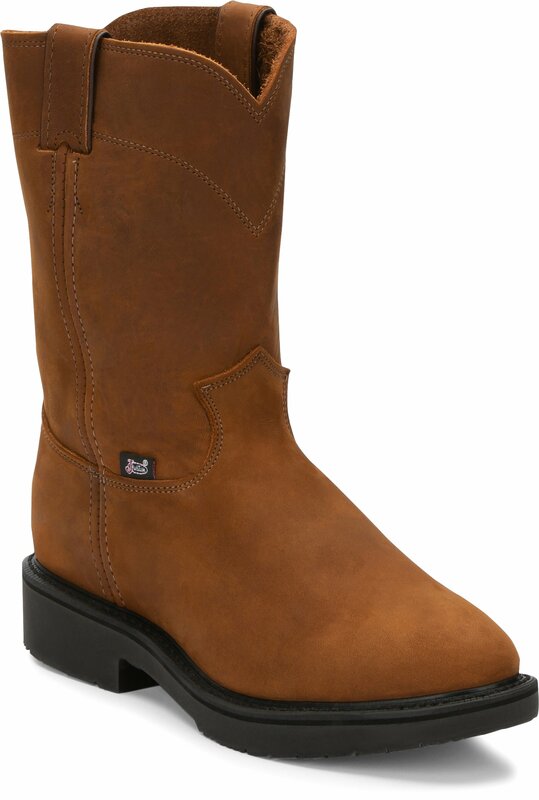 So went ahead and bought these Double Comfort 4760 style - mixed feelings. They did relieve foot pain to good degree. Nice support, Comfortable. But my size (10.5) felt real tight. So i bought an 11, well these are way to big. Foot slips, slides and feet get tired. Disappointing. After few weeks Not too happy.. Stand up to very hard abuse. I have worn 4760 for over 20 years in the construction trade. 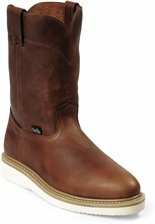 They hold up the same if not better than REDWING boots I used to wear and at a better price. Double Comfort System is excellent!!! Best boot comfort system made. I have worn every make and model of work boot that has been made since the 70s and the Double Comfort System is the best I have found. 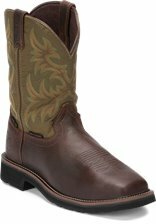 I have tried other boots since buying my first Double Comfort Boot many years ago and I always come back to the Double Comfort. Concrete, gravel, dirt, sand no matter what. Double Comfort is the best I have found!!!! !